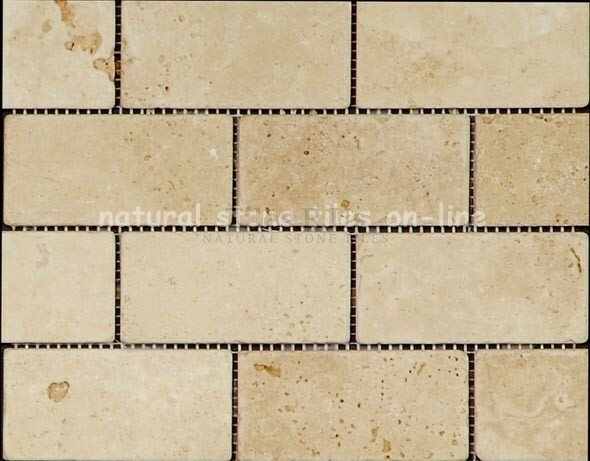 Tumbled Mosaic Travertine – these top quality travertine mosaic sheets are selected from the prime Ionic Stone Mosaic range; hand-made and mesh-mounted - stylish and a great look in any interior design. Mosaic sheets give you lots of design possibilities, cut into strips to make borders, squares to use as decor pieces to provide mixed patterns with contrasting or complimentary tiling schemes, arrange among main tiles in diamond formations for corner decor pieces, full sheets make a great kitchen wall 'splash back' and you could use half sheets, single strips - the possibilities to create your own feature using mosaics are endless! 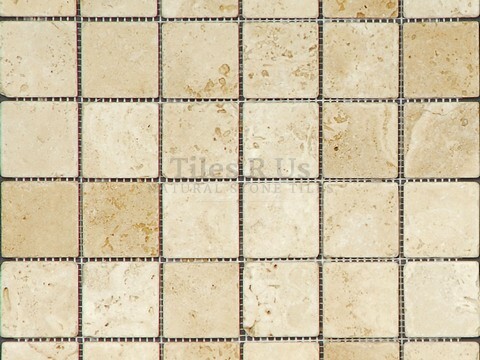 All our mosaics are hand-made and mesh-mounted on 305x305 mm sheets.